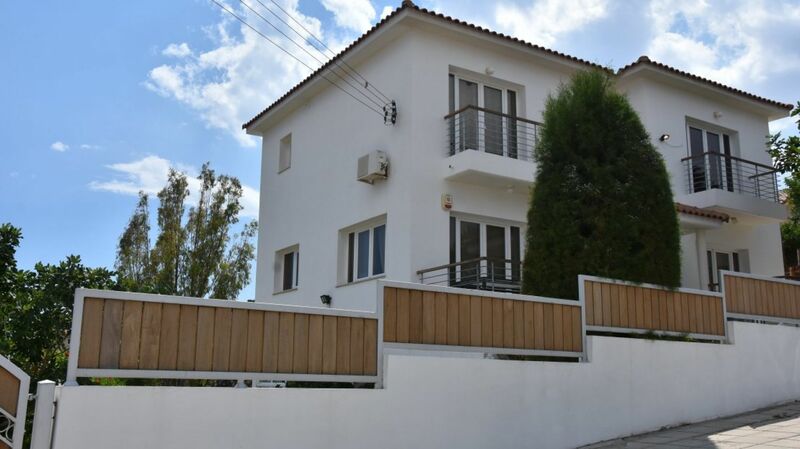 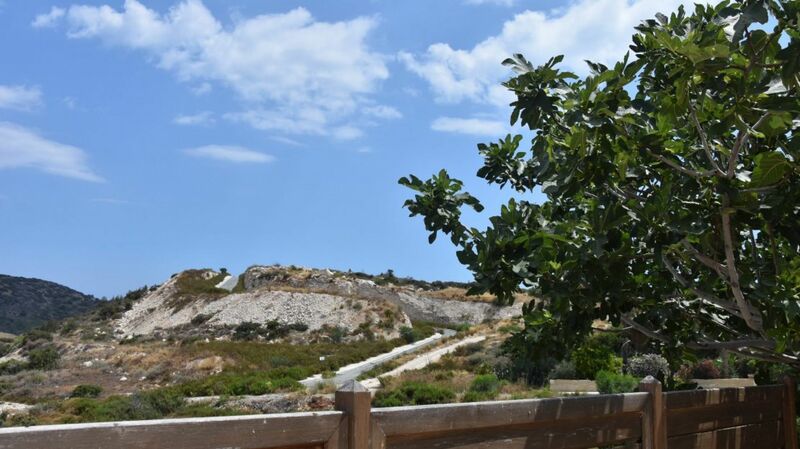 This 4 bedroom house for sale situated on a hillside of Parekklisia with magnificent views of the mountains and the tranquil environment of the area. 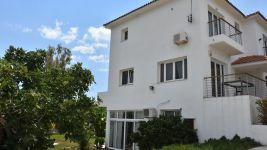 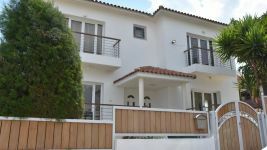 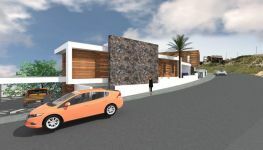 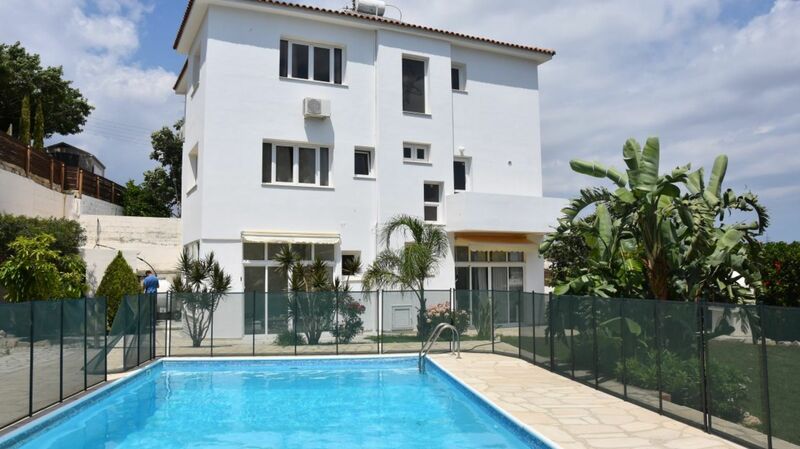 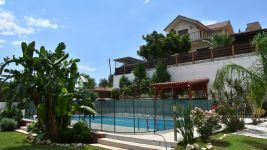 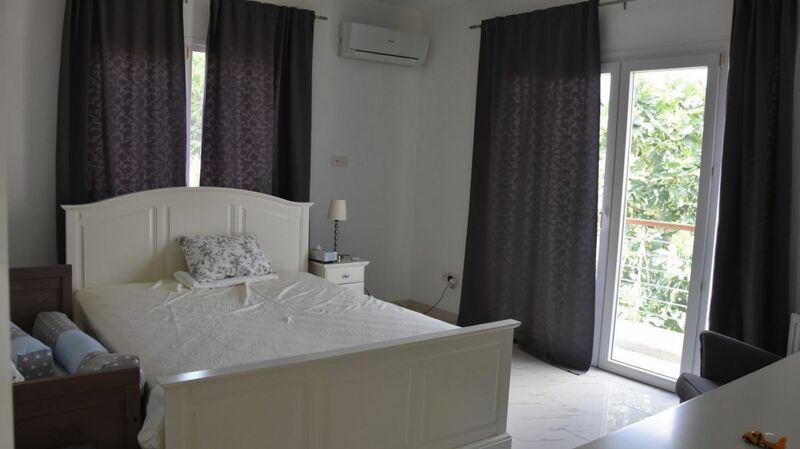 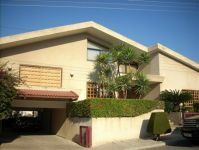 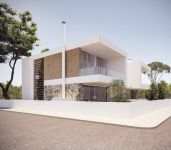 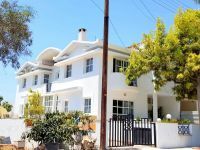 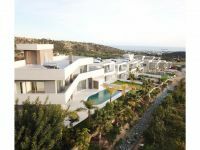 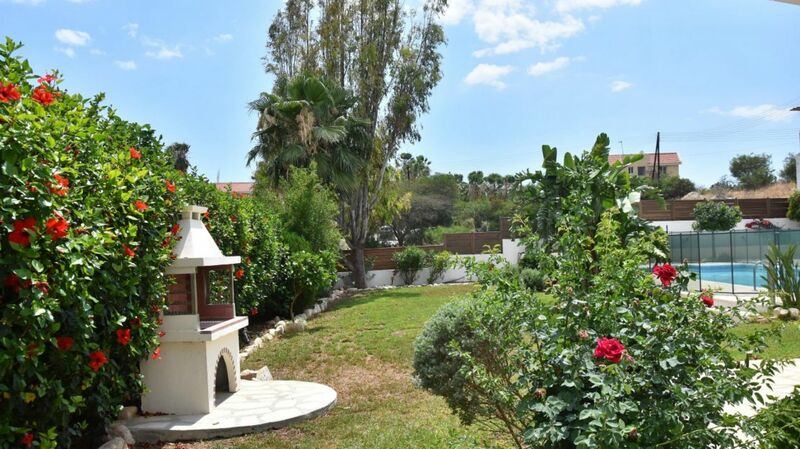 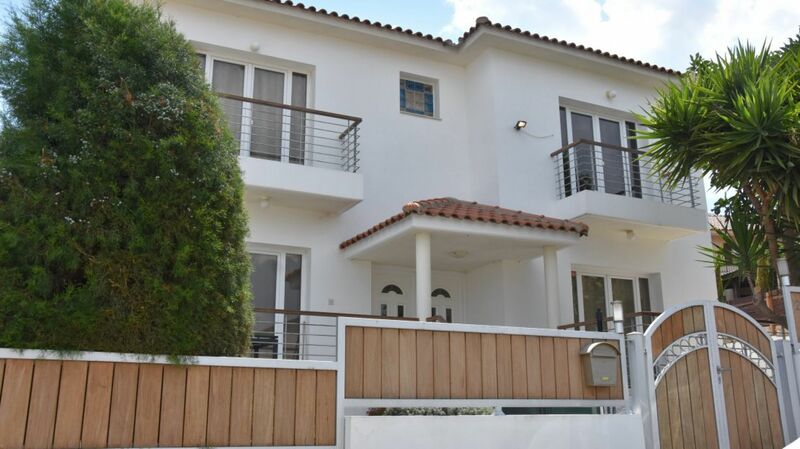 The house is located on the hill next to the stadium of Parekklisia, close to the best beach area of Limassol, the St Raphael resort and the Uptown square.The house sits on a beautiful landscaped plot of 880m². 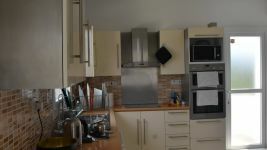 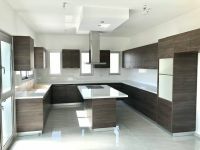 Entering the house, you can find a spacious sitting / dining area, following a separated open plan kitchen / dining/ sitting area. 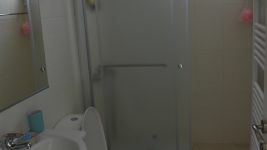 There is a guest toilette on this floor. A marble staircase that leads to the first floor. 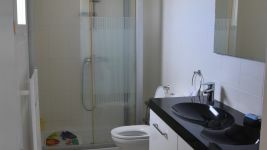 There first contains three spacious bedrooms, two of them with their balconies and one bedroom en-suite. 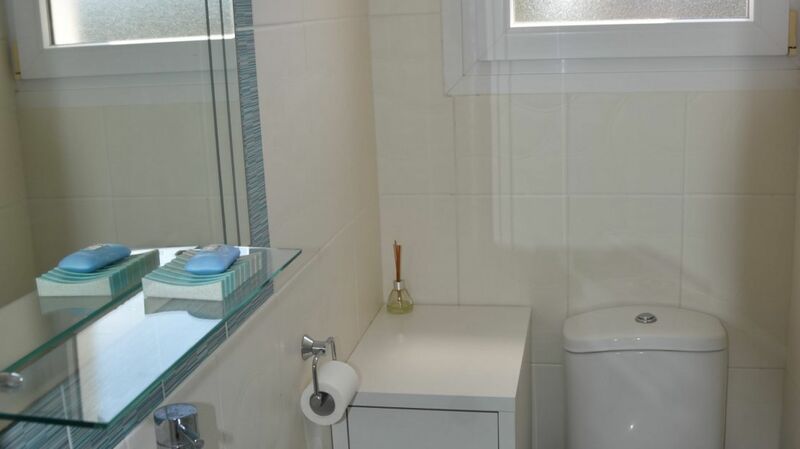 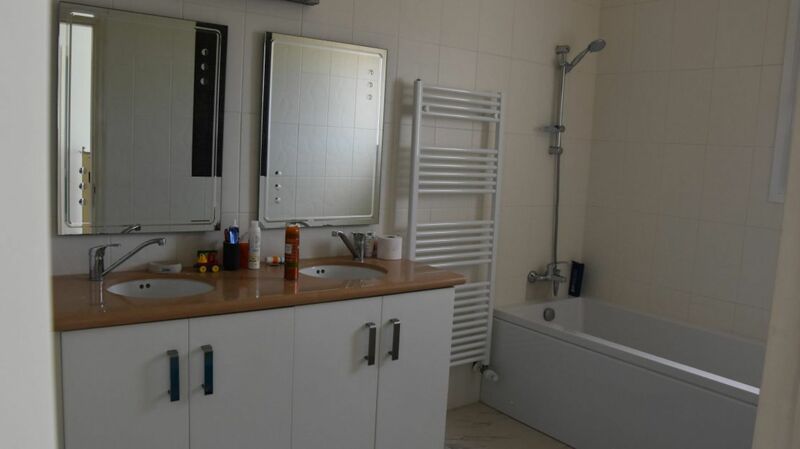 There is also a very spacious common bathroom. 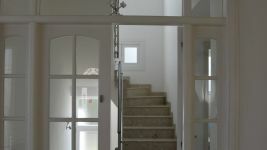 The same stairway leads to a lower floor. 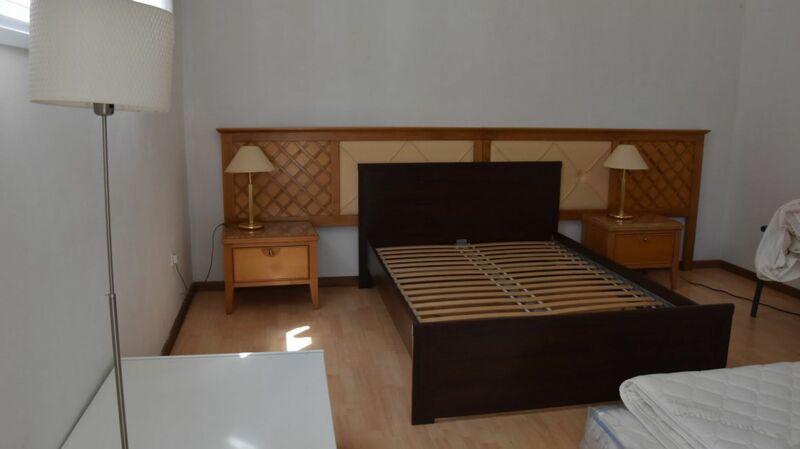 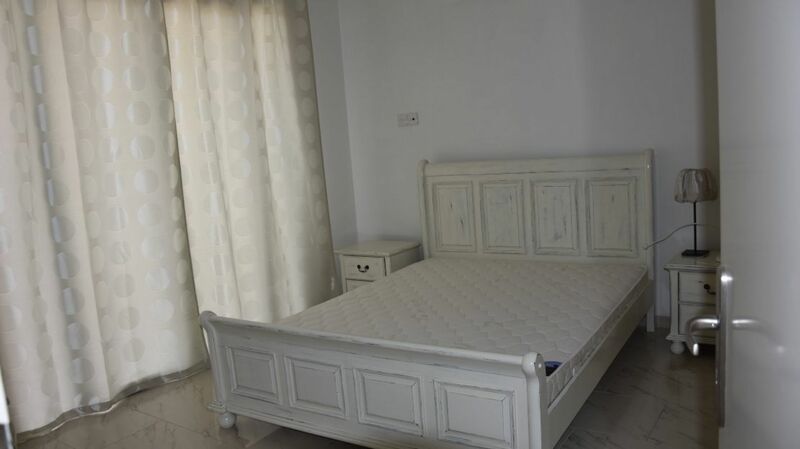 The lower floor has two large bedrooms, a separate kitchen, a storage room and a living room. Lower floor can ideally accommodate your guests or a maid. 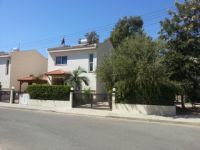 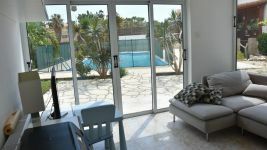 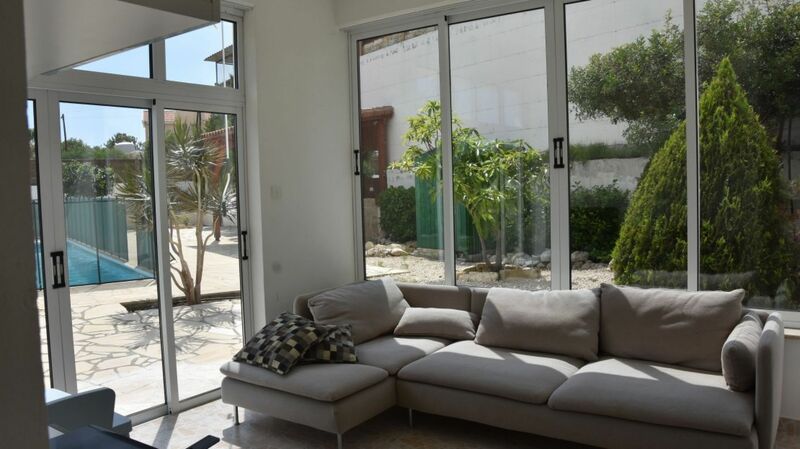 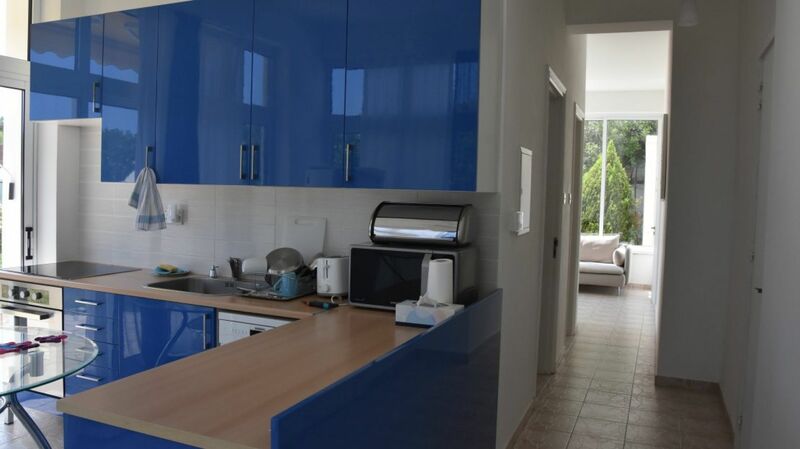 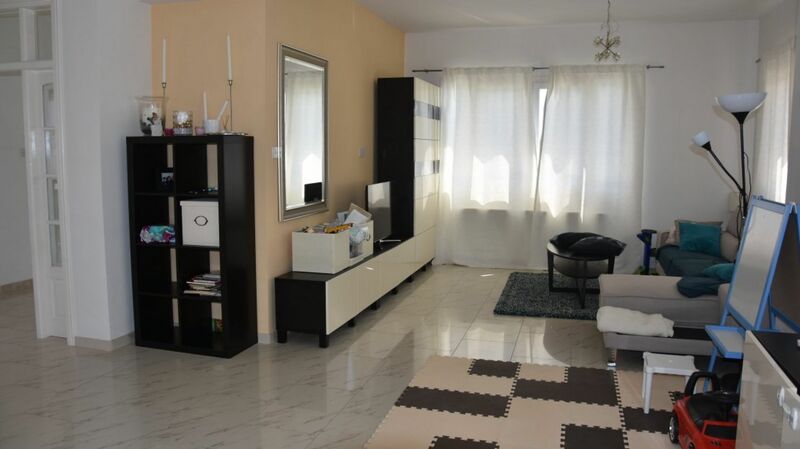 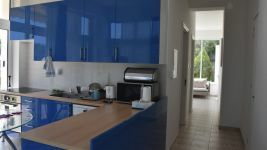 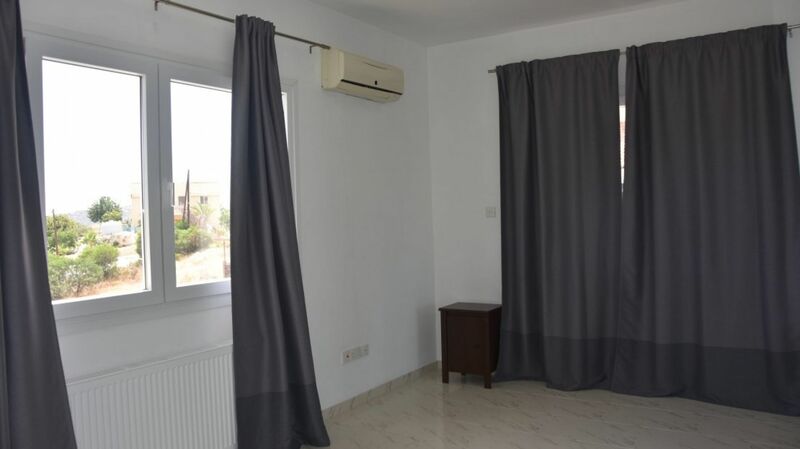 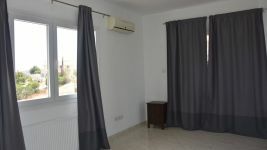 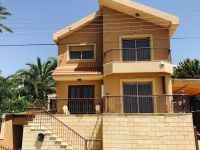 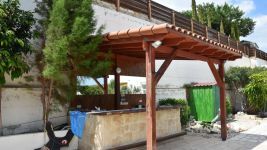 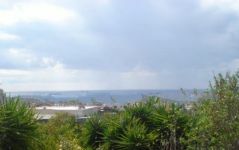 This property makes an ideal home, being able to accommodate many guests in a short distance away from the city of Limassol and the sea. 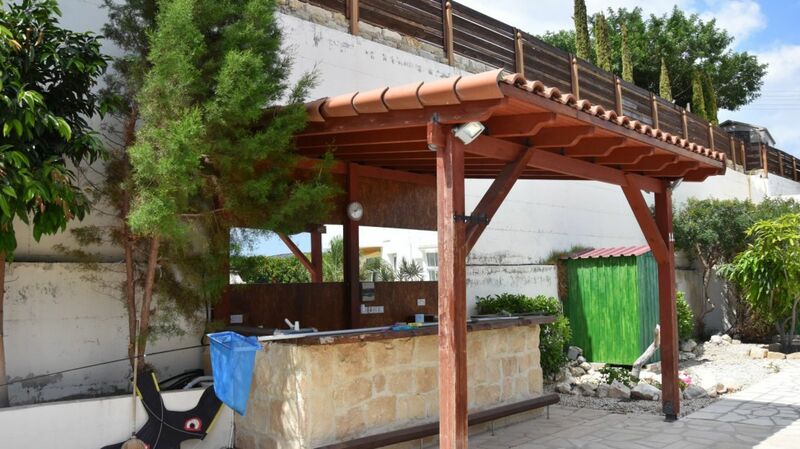 outside shower and, of course, a pool bar.